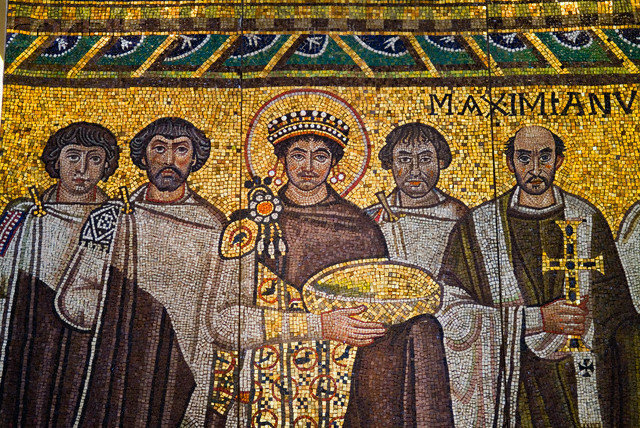 As a person who writes a travel blog about the history of Istanbul, I have come to realize that I have mentioned about Justinian many times in my blog. The reason is that Emperor Justinian left a great mark in the history. 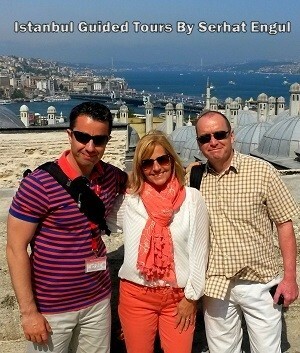 What he contributed in terms of architecture to Istanbul is truly significant. Big churches like Hagia Sophia and Hagia Eirene and the biggest cistern of the city, Basilica Cistern, were built during his period. Roman Laws were regulated and passed onto our time. 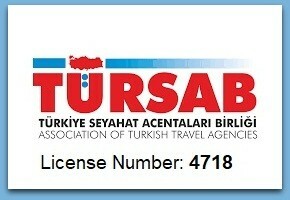 It is not completely possible to understand today’s Istanbul without getting to know him better. When the Emperor Anastasios died during his sleep without leaving an heir behind, the power was left in the hands of the guards. They chose their commander as the heir of the throne. Therefore, a Thracian villager without any education became the Roman Emperor in 518 with the name of Justin. Since he did not have a child, he chose his nephew Peter as an heir, adopted him as a son and changed his name into Justinianus. However, all these were not enough for Justinian to take the throne. As an ambitious person, Justinian opened the path to the throne himself. He was chosen as a consul in 521 and supported the Blues in the chariot races in Hippodrome. He therefore was met with hatred by the opponent Greens. The rivals Blue and Green teams were actually more than sports club and more like political parties. This seemingly sporty but actually political rivalry led to conflicts and even riots from time to time. 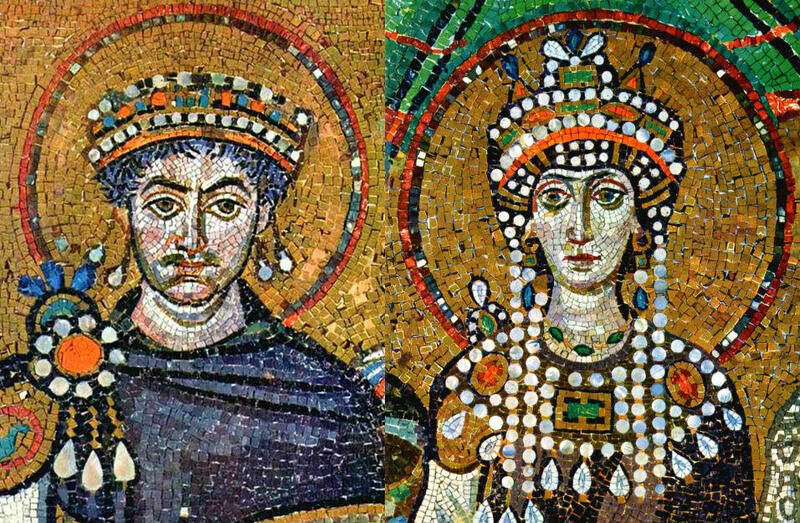 Justinian met his circus dancer wife Theodora when he was a consul. The problem was that Byzantine laws did not let emperors to marry non-nobles. The couple had to wait for Queen Mother, who opposed the marriage, to die in 524 AD and laws to change so that marriage would be permitted. Justinian who took the throne in 527 AD wanted to make a reform in the state administration and initiated one of the most comprehensive legislation procedure. He compiled all the Roman laws into a ten volume source and named it Codex Justinianus. His efforts in the following years resulted in Institutions, which is a law book read widely by law students in the modern world. All these texts formed Corpus Juris Civilis, which is a citizenship law adopted by the western world. 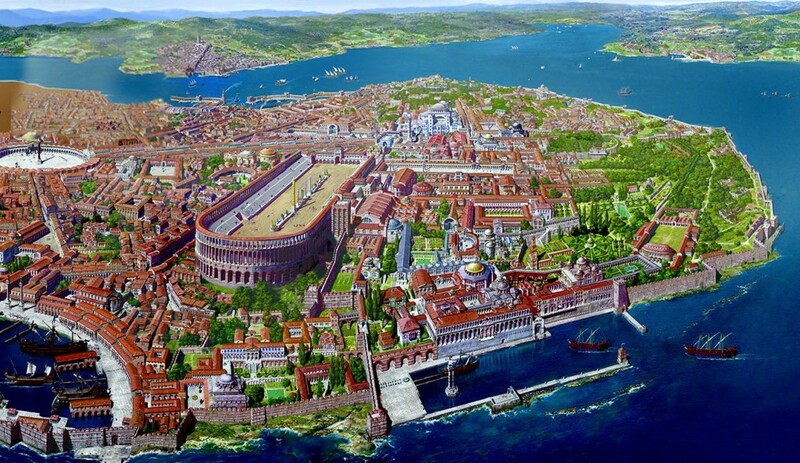 Constantinople the Capital of Byzantine Empire where Justinian & Theodora lived. An incredible riot rose during the chariot races in the Hippodrome in 532. Justinian who was trying to escape the city during the Nika Revolt was persuaded by his strong-willed wife to stay in the capital. 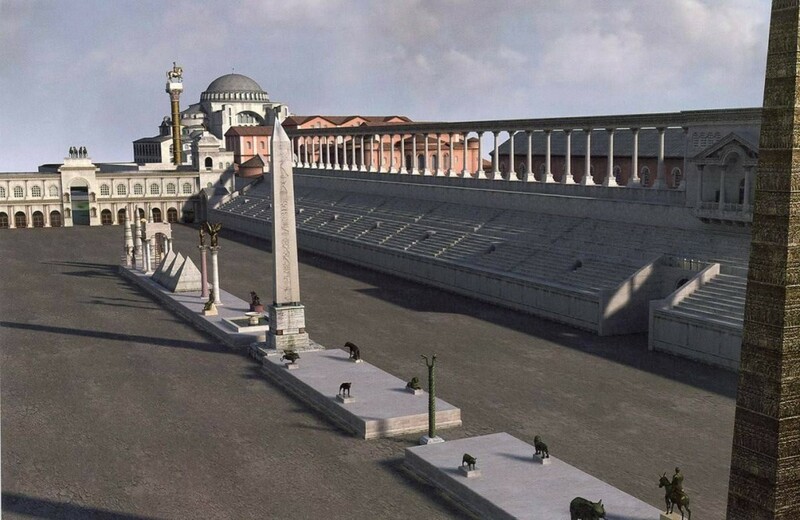 Justinian entrapped the rebels in the Hippodrome with the help of generals Belisarius and Narses and suppressed the riot after killing 30,000 people. During the riot, rebels burnt the city of Constantinople and destroyed Theodosius Hagia Sophia, the biggest church of the city. Justinian commissioned the best architecture of the period Isidore and Anthemius to build the biggest temple in the world. Only in five years, construction of Hagia Sophia was completed. 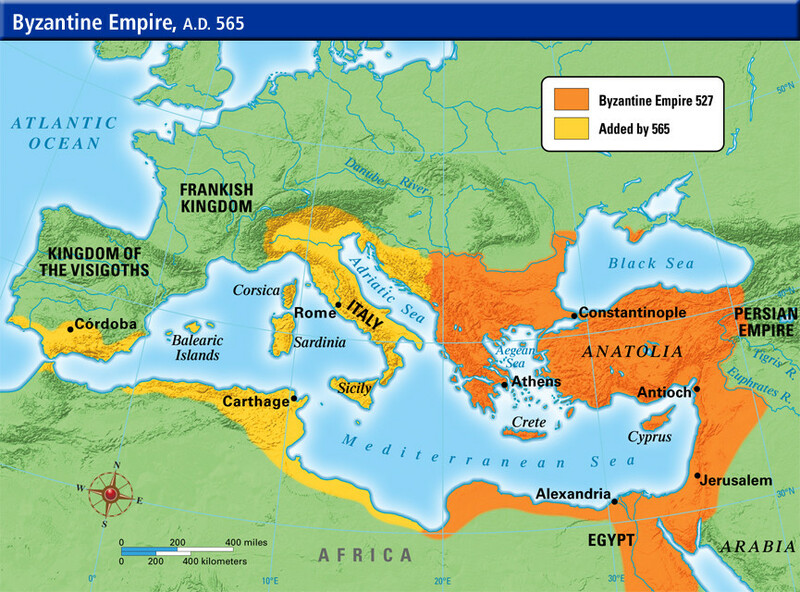 Roman Empire was divided into two in 395 AD and collapsed in 476 AD due to barbarian invasions. Justinian was the Eastern Roman Emperor. Mentioned as Byzantine Empire in the modern history. He was hoping to re-conquer the western provinces of Rome and take the Empire into the large borders of Constantine period of 200 years ago. Therefore, he sent the famous general Belisarius to a difficult military campaign. Justinian eventually captured Rome and even the whole Italy from the hands of barbarian invaders. His successful rule was shaken with disasters as he got older. A plague which appeared in 542 AD in Ethiopia spread to Constantinople due to trade ships coming through Egypt. Half of the Constantinople died from the plague. When the population of the city decreased dramatically, resources came to the point of extinction. The death of Theodora in 550 made the situation even worse. Justinian made the Byzantine Empire into a huge empire controlling the whole Mediterranean. When he died in 565 AD at the age of 83, he left a big but ready-to-collapse empire. Hagia Sophia built during his rule remained the biggest church in the world for 1000 years.